© Copyright Hans Decoz. All rights reserved. Protected by Copyscape. What makes these dates so potent? There is something significant about the dates November 11 and 29 this year that reflect the epic change people world-wide are currently experiencing. And this unique number sequence exposes only the tip of the iceberg. A global metamorphosis is taking place that should not be overestimated - a tsunami of change we may not have recognized as such because, as the saying goes, we can’t see the forest for the trees. A few years ago, I wrote the article “Numerology and the Great Transition,” which describes the importance of the number 2 becoming the first digit of every child’s birth year for the next 1,000 years. Before the year 2000, the number 1 had been the cornerstone of each calendar year, playing a significant role in every numerology chart created for a thousand years. This millennium change means the individualistic, driven, self-oriented and confrontational 1 has been replaced by the gentle, caring, sensitive but resilient 2, a number that represents brother/sisterhood and is called the Peacemaker for good reason. The introduction of the number 2 in each child’s birth year will create a gradual long-term change, as those born during this period will have the cooperative, inclusive 2 as part of their make-up. But there are also indications of more rapid and dynamic short-term changes revealed in dates that have unusual number sequences. Dates that include one or more Master numbers (or reduce to a Master number) can bring extraordinary changes. WHAT IS A MASTER NUMBER? 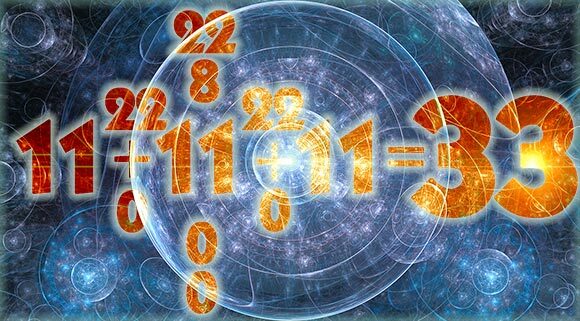 Numerology reduces all double-digit and multi-digit numbers to a single digit, with the exception of 11, 22, and 33. These are called Master numbers because they have special attributes that set them apart from other numbers - attributes that add increased potential. 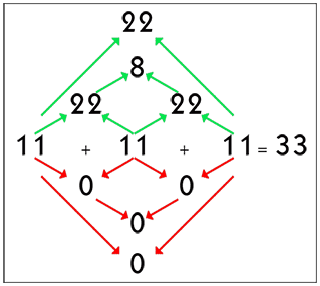 For example, 1948 reduces to 22 (1 + 9 + 4 + 8 = 22), while 2018 reduces to 11 (2 + 0 + 1 + 8 = 11), both 11 and 22 are Master numbers, which are not further reduced. Most years do not produce Master Numbers and are reduced to a single digit. SO, WHAT’S SPECIAL ABOUT NOVEMBER 11 AND 29, 2018? There are two days that stand out this year, November 11 and November 29 (29 = 2 + 9 = 11). They stand out because not only are they made up of three Master numbers, they also add to a Master Number. November is the 11th month, so once we reduce the year 2018 to 11, the date breaks down as follows: 11-11-11. When we add these three Master numbers, we arrive at another Master number, namely 33. In numerology, when calculating a date we add each unit one-by-one. Similarly, to find negative influences we deduct them one-by-one as the difference between two numbers gives us the negative or challenging effect, while the sum reveals a positive influence. November 11, 2018 breaks down as shown in the graph below. The green arrows show the addition of numbers; the red arrows show deductions. As you can see, the chart is loaded with the Master numbers 11, 22, and 33. (The 8 is the result of adding 22 + 22 = 44, which is not considered to be a Master number and therefore reduced to 8). Equally important is the fact that all deductions result in zero, which tells us the challenge we must overcome will require empathy, compassion, and the recognition that we are all one. There is no doubt November will be an important month with long-term global impact, although it may take time to recognize the course of events producing it. What is clear, is our heightened ability to sense underlying currents, and our expanding recognition of the connection we have to each other and the world at large (strong traits of the 11). Our ability to force change and make things happen (the 22) is also enhanced. But the most important influence is the 33 - the Master Teacher whose power and influence is not just positive, but often life-changing. This 33 seems to be announcing that, in some form or fashion, a star is born: a new message or direction or an individual who steps into the spotlight capturing our attention. It could be any or all of these, but we are clearly at the starting point of a breakthrough that will affect the human race as a whole. The dark always comes before the storm, but I believe this influence will ultimately create positive change. As with other important dates and events in history, the full impact is rarely understood until later, often much later. But my sense is November 2018 will bring a change we feel almost immediately. In my January 2018 Global Forecast, I predicted major changes in the political and economic arena during the latter part of this year. November will be a pivotal month, but the long-term effect won’t be fully understood until the end of our current 9-year cycle, around 2025. The influence of 11/11/11 is felt globally, so it will not be experienced as strongly as your personal yearly forecast (a fusion of the current calendar date and your month and day of birth). However, I believe the world-wide change brewing now will be something each of us will remark on in future years. Your Daily Number Forecast can be found here... and is also included free in our World Numerology App (the free download below also includes an 8-page personal reading and three different charting systems).